On March 26, 2019, City Council adopted new Zoning Ordinance regulations associated with short-term transient lodging commonly referred to as “Airbnbs.” These operations, unless previously approved by the City as a bed and breakfast, have been illegal in the City of Harrisonburg. The recently adopted regulations established a new term and definition for "short-term rental" (STR). Many STR operators use services, including but not limited to Airbnb, VRBO, HomeAway, and FlipKey to advertise their properties. Beginning August 1, 2019, and continuing thereafter, individuals found illegally operating a STR without proper approvals will receive a violation notice with a $100 penalty for the first offense and a $500 penalty for any subsequent offense. Individuals wishing to operate a STR on or after August 1, 2019 must apply for and receive approval of a special use permit granted by City Council. From March 27th until July 31st, notices may be sent to property owners who have been identified as operating a STR informing them of the possible penalties they could incur if found operating on or after August 1. The notice will also provide information on how they could acquire the permissions to legally operate the STR. 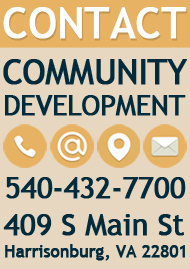 Individuals interested in legally operating a STR by August 1st must submit their special use permit application to the Department of Planning and Community Development no later than May 3, 2019. To legally operate a STR after this date, special use permit applications are received on a rolling basis for upcoming Planning Commission reviews and subsequent City Council meeting agendas for final determination. 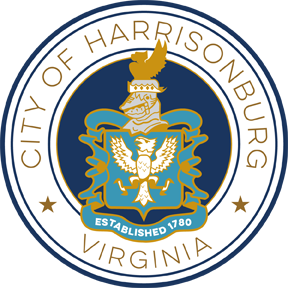 To operate a STR is the City of Harrisonburg, operators must obtain a special use permit, Short-Term Rental Operator Registration, business license, and register for transient occupancy and state sales tax. The STR operator must comply with the full regulations detailed in Article DD. – Short-Term Rentals and other sections of the Zoning Ordinance and the City Tax Code [115KB]. 1. A special use permit. a. This is a one-time application obtained through the Department of Planning and Community Development and requires approval by City Council. b. Special Use Permit application fees are $425.00 plus $30.00 for each acre of property. Property acreage is rounded up to the nearest whole number. c. Special use permit application and general procedures. The application should include a letter explaining the proposed use and reasons for seeking a special use permit. The letter should describe (a) who will operate the short-term rental, (b) if the location of the short-term rental is the primary residence of the operator, (c) if the operator will be present during the lodging period, (d) how many bedrooms or accommodation spaces will be provided, (e) an estimation of the number of lodgers that could be accommodated, and (f) where lodgers will park their vehicles. d. Special use permit application deadlines and meeting dates. 2. A Short-Term Rental Operator Registration. a. Registration is valid January 1st through December 31st and must be renewed annually by March 1st. b. Registration fee is $50.00 per year. c. Submit the Short-Term Rental Operator Registration Form [145KB] to the Department of Planning & Community Development. Note: The Operator Registration must be approved before obtaining a business license. 3. A registration for state sales tax through the Virginia Department of Taxation. 4. A business license from the Commissioner of Revenue. a. Business licenses are valid from January 1st through December 31st and must be renewed annually by March 1st. Note: Approval of a Short-Term Rental Operator Registration is required before obtaining a business license. b. General information and how to obtain a business license. c. General information on how to register for Transient Occupancy Tax. Where are short-term rentals (STRs) allowed? With an approved special use permit (SUP), STRs can operate in any dwelling type (single-family detached, duplex, or townhouse, or after physical renovations are completed, in apartments.) STRS are permitted in the following zoning districts: R-1, R-2, R-3 (multiple), R-3 (medium), R-4, R-5, R-6, R-7, MX-U, B-1, and U-R.
Accessory structures may be used as for STR unless restricted by a condition of the SUP. Determine the zoning district of your property. Does the dwelling unit have to be the operator’s primary residence? No, unless restricted by a condition of the SUP. Does the operator have to be present during the lodging period? How many bedrooms or accommodation spaces can be rented? There is no limit, unless restricted by a condition of the SUP. How many guests can rent spaces at a time? How many nights per year can spaces be rented? How many consecutive nights may guests stay? Lodging contracts shall be limited to a period of fewer than 30 consecutive nights. Are there vehicular parking requirements? Yes. STRs are to provide one off-street vehicle parking space (a parking space to be located on the property) for each bedroom or accommodation space, unless conditioned differently by the SUP. During the SUP process, applicants (operators) may request City Council’s consideration to require fewer parking spaces. On the other hand, City Council may require more off-street parking spaces than the on space per bedroom or accommodation space minimum. Yes, limited only to guests. A Virginia Department of Health Lodging Permit may be required to serve STR guests. Food service may be subject to the City's Food and Beverage Tax, please contact the Commissioner of Revenue's Office at 540-432-7795 to inquire. Can the operator serve alcohol to guests? Yes, limited only to guests. A license from the Virginia Alcohol Beverage Control Board is required. Alcohol sales may be subject to the City's Food and Beverage Tax, please contact the Commissioner of Revenue's Office at 540-432-7795 to inquire. Can the property be marketed and used for events such as, but not limited to, weddings, and receptions? If STR operators wish to be able to accommodate such events, such plans must be specified as part of the SUP process. Accommodating such events would likely require physical renovations or other improvements to the property per the Building Code. Applicants (operators) wishing to market and use the property for events shall include information about planned events with the SUP application. If such events are desired, the applicant is highly encouraged to speak with city staff regarding such plans prior to submitting the application. Short-term rentals shall have the dates for trash and recycling collection posted prominently. Operators shall comply with the Virginia Uniform Statewide Building Code and Virginia Statewide Fire Prevention Code. If there are questions about these specific requirements, contact the Building Inspections Division of the Department of Planning & Community Development at 540-432-7700. What happens if I operate a STR without obtaining a SUP and/or without registering the use? What happens if I received approval of a SUP for a STR and registered the use, but am found in violation of Article DD? For zoning, special use permit, and annual registration questions, contact the Planning & Zoning Division of the Department of Planning & Community Development at 540-432-7700. For business license and transient occupancy tax questions, contact the Commissioner of Revenue’s Office at 540-432-7704.